A unique invitation to the unveiling of a newly renovated office space. The paint fumes may have been partially responsible. The idea for this cocktail reception invitation was born in a construction zone, so the paint fumes may have been partially responsible. When every nail was in place and every inch of paint had dried, it was time to celebrate the unveiling of a newly renovated office with clients and colleagues. 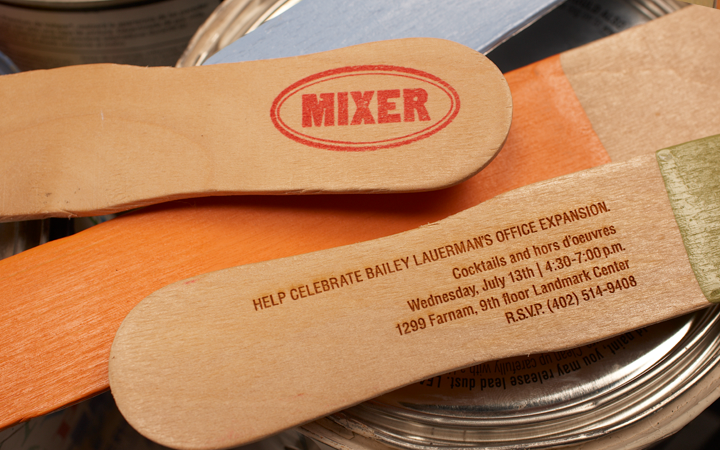 Bailey Lauerman needed a clever way to invite clients to see their newly remodeled office. We came up with a simple invite to honor the occasion. Then, on a sunny Friday afternoon, we gathered in a garage out in suburbia, armed with supplies—two boxes of paint stirrers, 3 gallons of paint, 9 bags of clothes pins, some rope and, of course, and a cooler of beer. 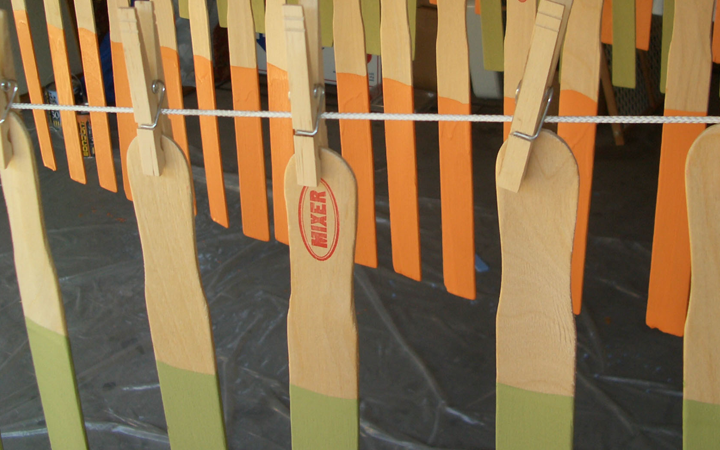 The result was 400 hand-dipped paint stick invitations in the colors of the new office and a garage floor that will never be the same.